Deep ear flushing is very helpful not only as a diagnostic tool in assessing chronic otitis but also as part of the treatment plan. 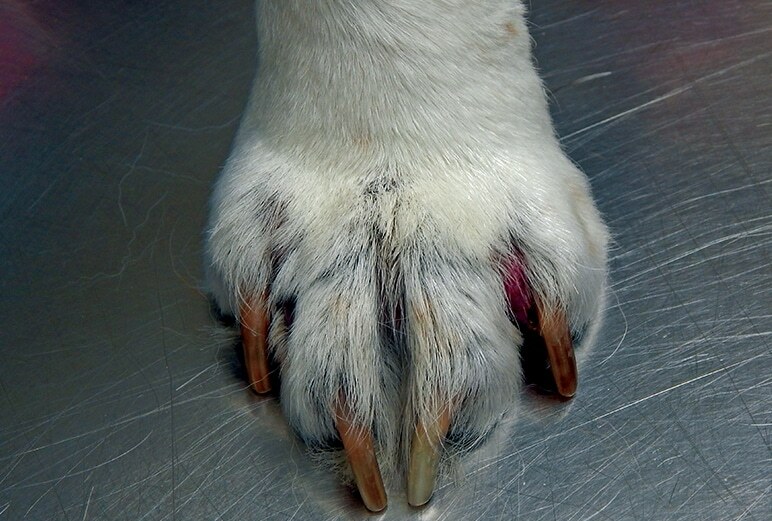 Canine demodicosis is a common inflammatory parasitic skin disease believed to be associated with a genetic or immunologic disorder. This disease allows mites from the normal cutaneous biota to proliferate in the hair follicles and sebaceous glands, leading to alopecia, erythema, scaling, hair casting, pustules, furunculosis, and secondary infections. The face and forelegs to the entire body surface of the dog may be affected. Three morphologically different types of Demodex mites exist in dogs.